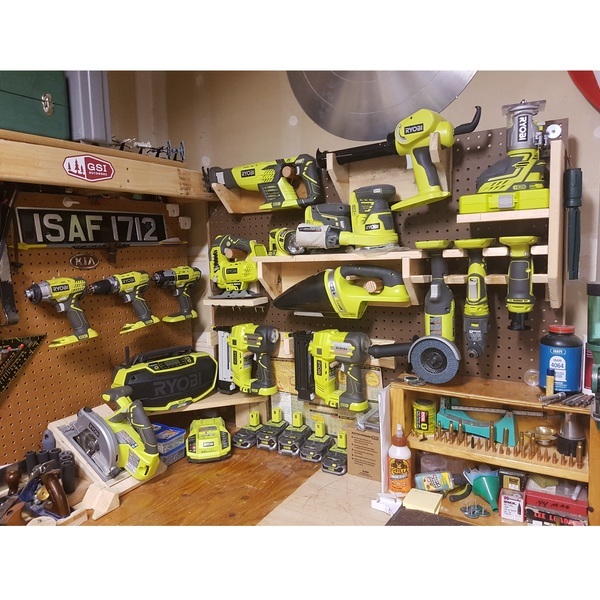 Wanted all my power tools hanging on my current workbench. 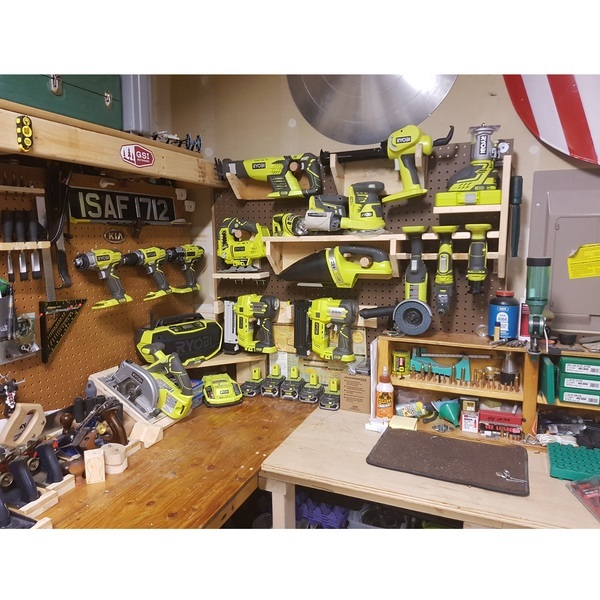 This is my second update for the workbench. 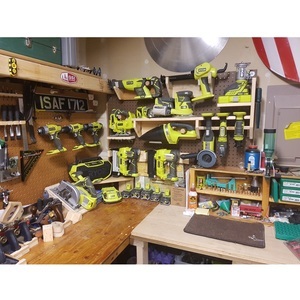 Looks great and well organized. Really digging your shields / wall art. Thanks! I had fun organizing and the shields help keep my work area/man cave grounded! 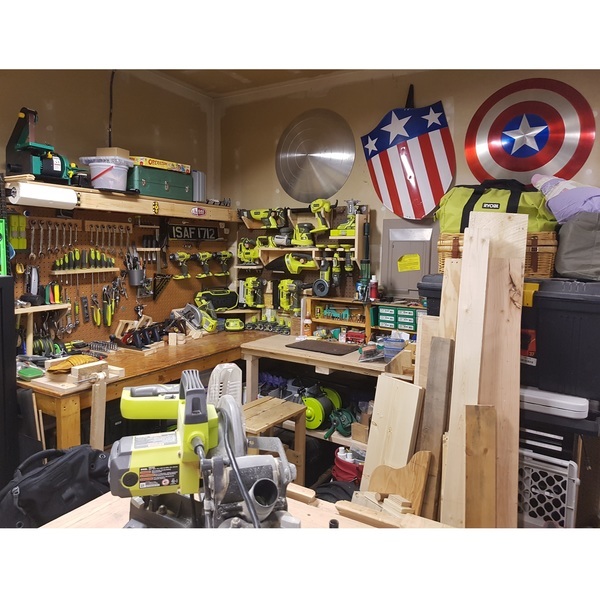 Awesome garage, did you make your shields? Got the round shields on ebay and the middle one at amazon. Drawers are a tool's graveyard...i like seeing all I have. That way I don't overlook a great tool because I can't see it. Took time and a few disappointed looks from the wife for spending a little more than I was supposed to at Home Depot that day...but worth it when I look at my bench. Glad you like it! I enjoyed making it! We totally understand that! Those are both solid choices though! Thanks! I considered french cleats but already had the pegboard for the backer and it gave me a grid to mount my hangers to. I think mine worked rather nicely while saving me money by using the less-expensive pegboard over plywood.